Minister Diab was elected to the Nova Scotia Legislature in 2013, as the Member for Halifax Armdale, and appointed to Cabinet as the first female Attorney General and Minister of Justice as well as Minister of Immigration. In July 2015, the Immigration portfolio became her exclusive cabinet position. Minister Diab is passionate about making Nova Scotia a more diverse and welcoming province and she’s leading the way. Under her leadership, the Province nominated more people for permanent residency in 2015 than ever before. Nova Scotia was also the first province in Canada to take advantage of Express Entry, launching two Express Entry pilots and two new streams for immigrant entrepreneurs in the last year. Minister Diab is also leading the Province’s humanitarian initiative to resettle Syrian refugees, working closely with the Government of Canada, settlement service providers and other key partners. In her spare time, Minister Diab enjoys volunteering. She has held many volunteer positions over the last 30 years, including serving seven terms as the President of the Canadian Lebanon Society of Halifax. Her compassion and strong record of public service have not gone unnoticed. 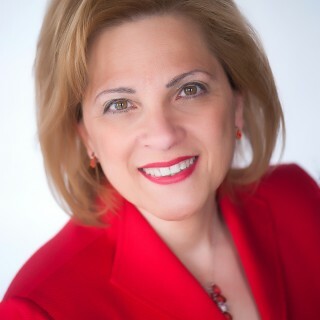 She was the first recipient of the Lebanese Chamber of Commerce in Nova Scotia’s Professional of the Year Award and has received other honours, including the prestigious Queen Elizabeth II Diamond Jubilee Medal, the Duke of Edinburgh Award, the Province of Nova Scotia Volunteer Award, the Halifax Municipality Volunteer Award, the 2015 Progress Women of Excellence Award and most recently, the 2016 Canadian Council of Ambassadors of the Arab League Politics Award. Minister Diab is the daughter of first generation immigrants to Canada and the eldest of six children. She was born in Nova Scotia but moved to Lebanon at the age of 2, then returned to Halifax at the age of 11, escaping civil war. Her educational background includes a Bachelor of Arts in Economics and Political Science, a Masters of Public Administration and a law degree. She was admitted to the Nova Scotia Barristers Society in 1991 and had a diverse legal career for more than 20 years before being elected to the Legislature. She is the proud mother of four children and has two grandchildren. She speaks English, Arabic and French.